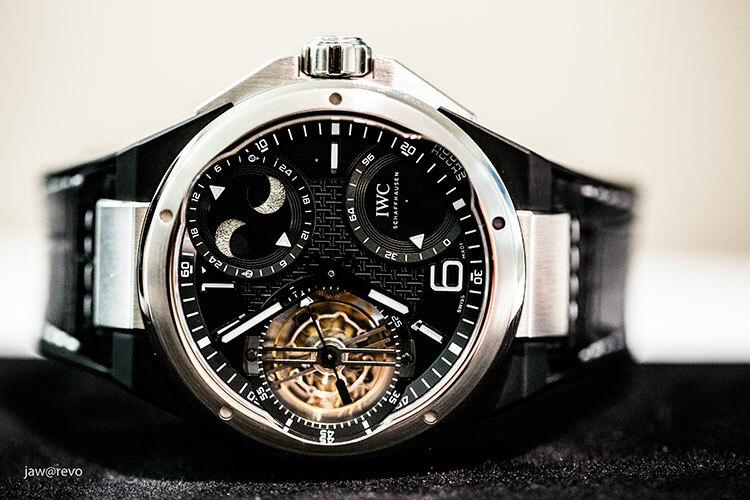 Dr. Jekyll & Mr. Hyde, The Strange Case of IWC Schaffhausen’s SIHH 2013’s Ingenieur. 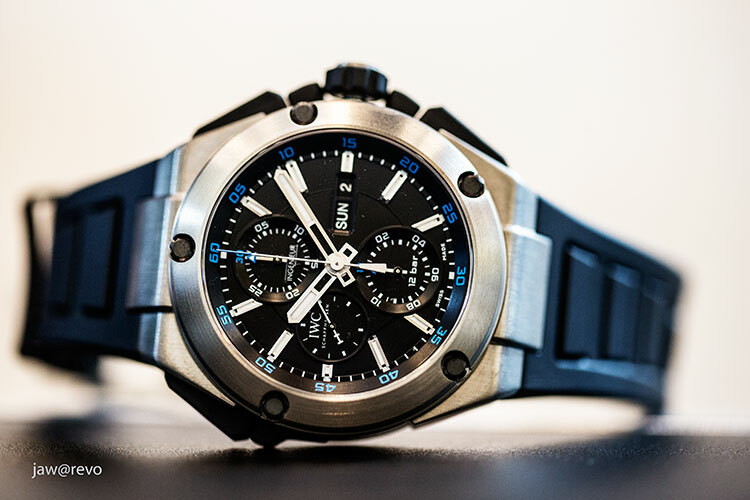 More than just the Grand Prix Formula One atmosphere, the technically inclined like us are also impressed with the most interesting updates of the Ingenieur range this year. 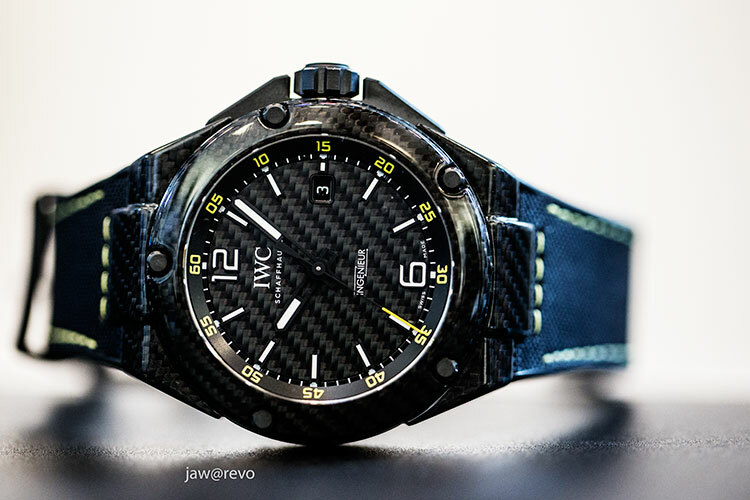 With the inclusion of complications like Constant Force Tourbillon, Perpetual Calendar and Double Chronograph in the normally more plain-vanilla Ingenieur range and coupled with the usage of unusual case materials like Titanium, Titanium Aluminide, Carbon Fibre and ceramic, we have little to complain against another great show presented to us by IWC Schaffhausen. 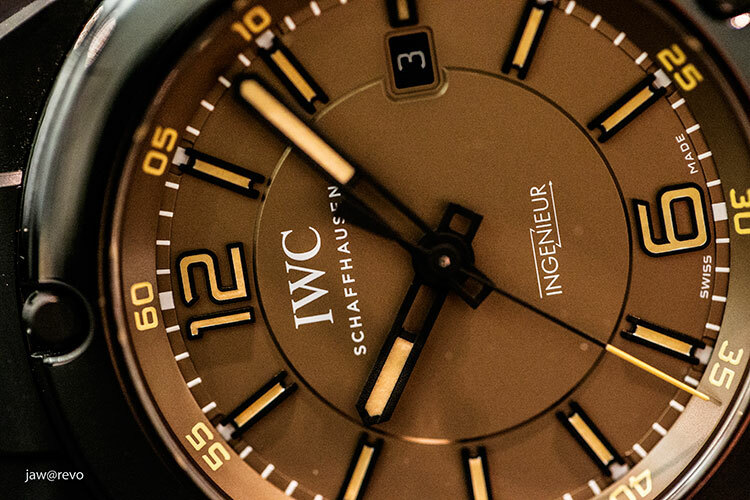 The highly successful refreshment of IWC Schaffhausen Portuguese range in 2010, Portofino in 2011, Pilot in 2012 have demonstrated the brilliance of its CEO Georges Kern. 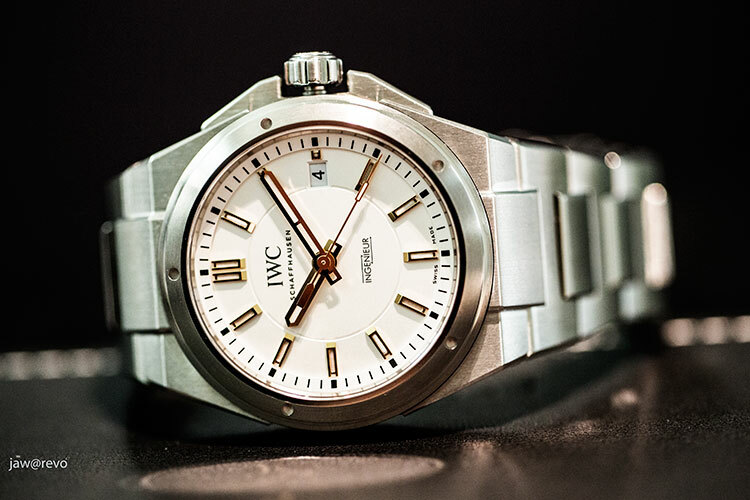 The huge commercial success of the IWC brand in the last four years have validated Mr. Kern’s talent of not only bringing commercially attractive timepieces to the fans but his unique formula of creating a unifying theme for every important historical range of IWC products. 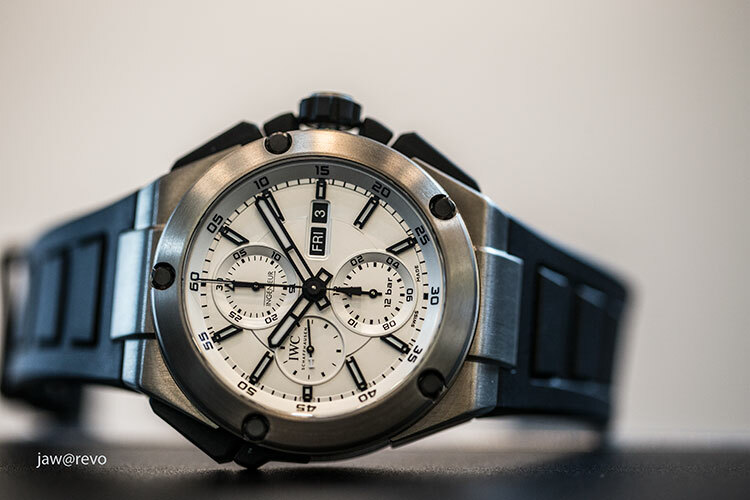 IWC Ingenieur Perpetual Calendar Digital Date Month. 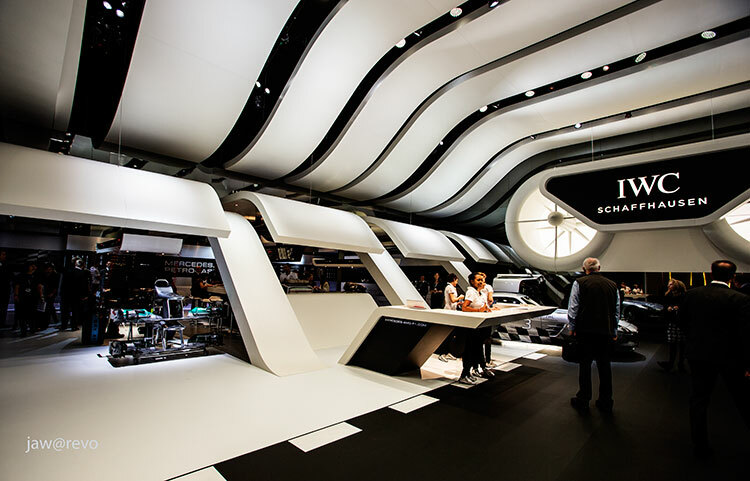 Certainly visiting IWC Schaffhausen booth as my first SIHH appointment Is uplifting in many ways, Like many, I was invariably led into a high by the carefully designed Car Racing themed booth and the impressive range of Ingenieur complications. 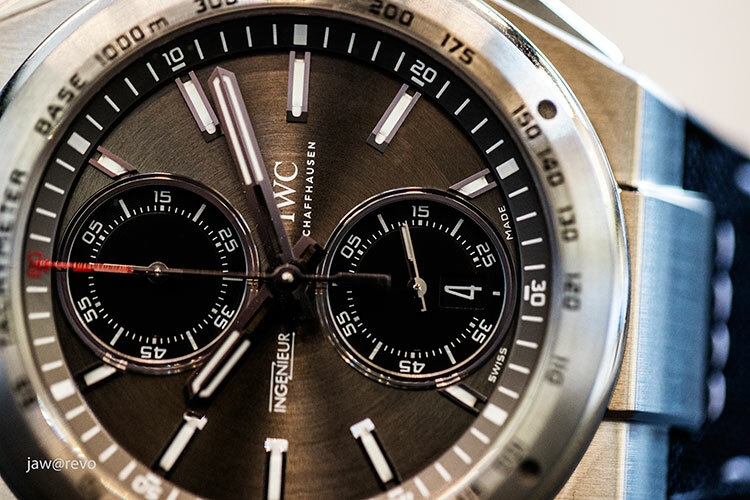 Such emotional high however could be quickly led down by just a single old loyal IWC fan who is highly critical and cynical of the recent IWC developments – And it happened to me when I bumped into an old friend while I left the IWC booth that Monday (21st January 2013) morning. The person I met, let’s call him A. 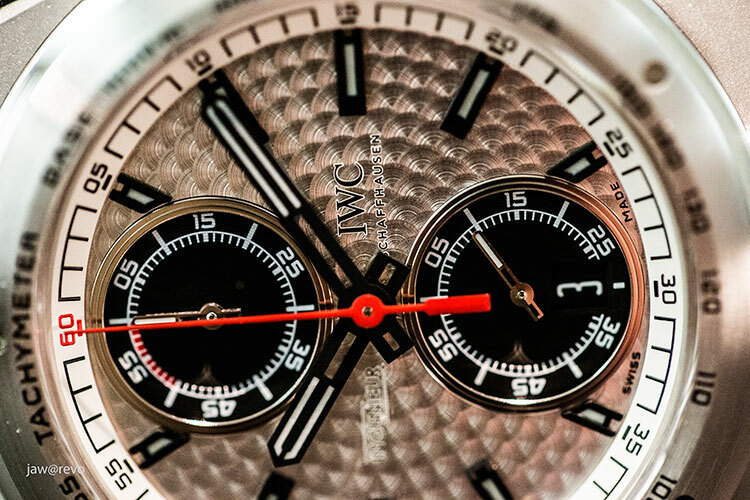 He chose to be anonymous and is a long time IWC collector whose loyalty cannot be questioned. 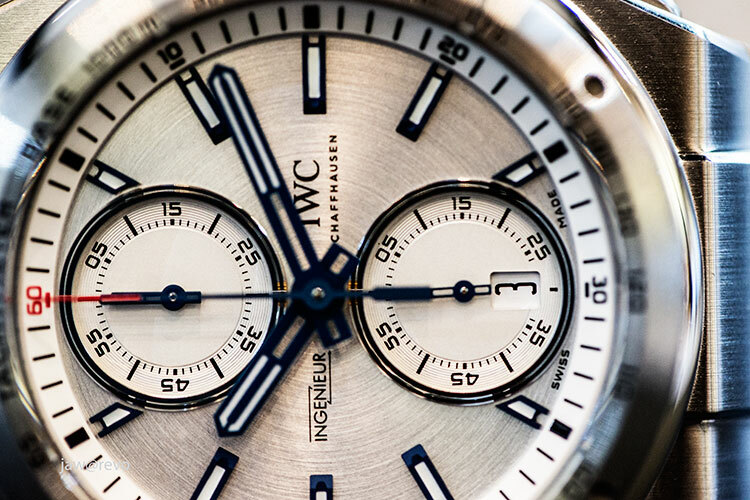 Not only has he an extensive IWC collection but he has probably influenced and convinced many of his friends to buy into many IWC timepieces in the last two decades. 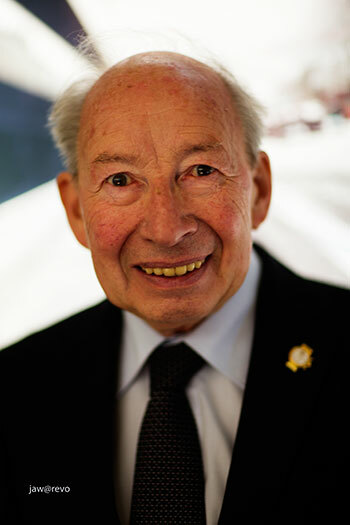 Certainly, his growing cynicism could be because of his relatively mature age, his overly high expectation from the brand he loves and in someway, perhaps his unrealistic view of the commercial business world. 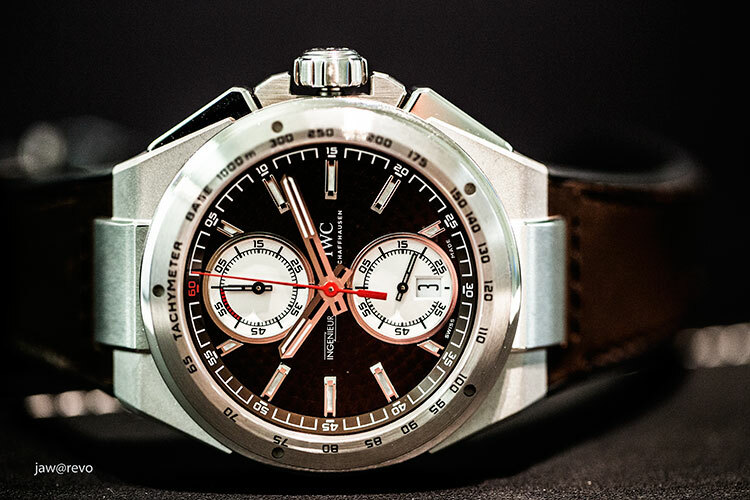 “IWC Schaffhausen stood for Macho, masculine or even a little chauvinistic timekeeping value we IWC fans treasured” said A, “today’s IWC is fashionably lifestyle with celebrity associations and theme park like atmosphere”. 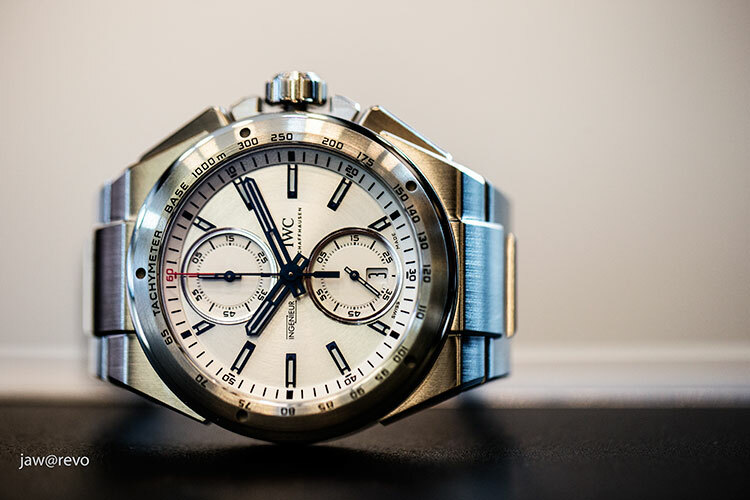 He continues “In 1993 IWC Il Destriero Scafusia Grand Complication was possibly the most complicated watch in the world – today, IWC is rehashing the same old complications”. 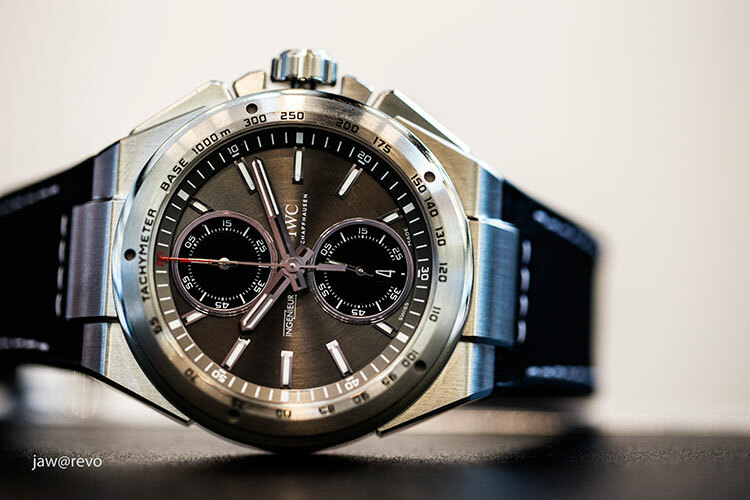 Our meeting time was short and I didn’t have time to defend IWC and he concluded our meeting by saying, “In 1955, IWC Ingenieur boasted its antimagnetism, this year IWC launched its new Ingenieur without a mention of the feature and just a week after OMEGA announced its latest breakthrough in antimagnetism:- A watch movement able to withstand more than 1.5 tesla (15,000 gauss) of magnetic field strength”. 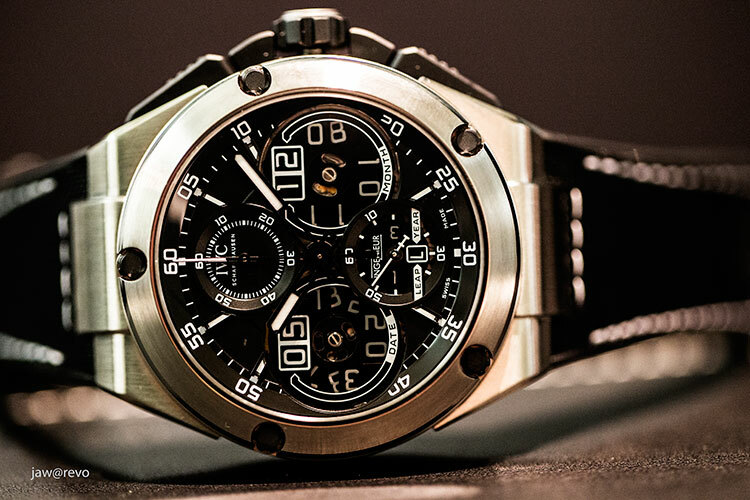 As a watch enthusiast, I can genuinely feel his pain or even agree with his points in an idealistic world we enthusiasts prefer. 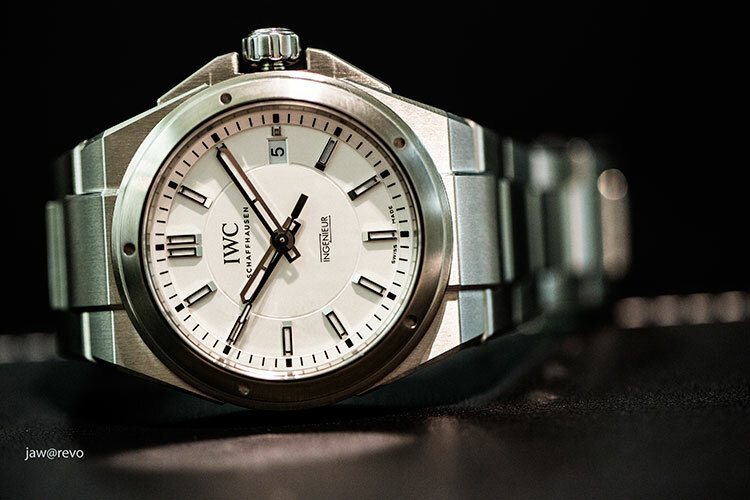 However, I can’t help but feeling the need to explain a little more on behalf of IWC. 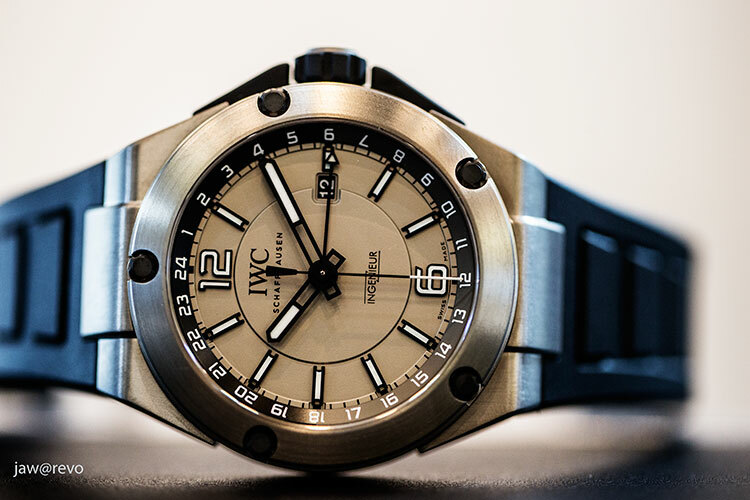 IWC Ingenieur Dual Time Titanium Ref. 326403. 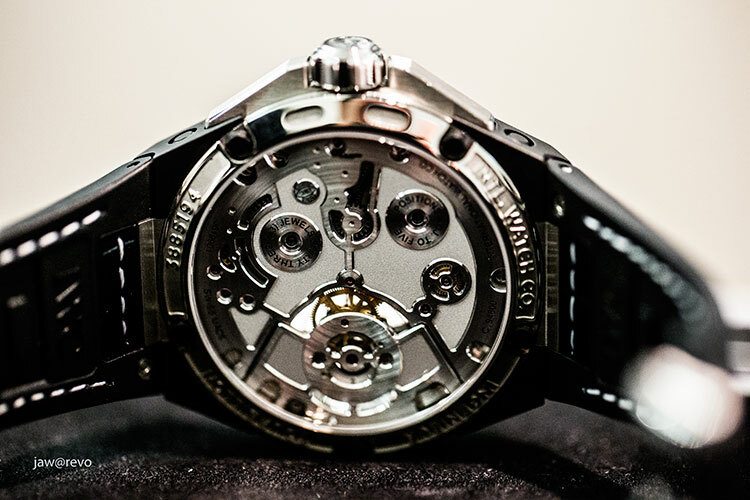 The original Ingenieur was created in 1955 when Albert Pellaton wanted to design a tougher watch for the active Engineers and two of the signatures of the original intention was the early attempt to resist water, moisture better and more importantly to insulate the watch from the effect of surrounding magnetic field. 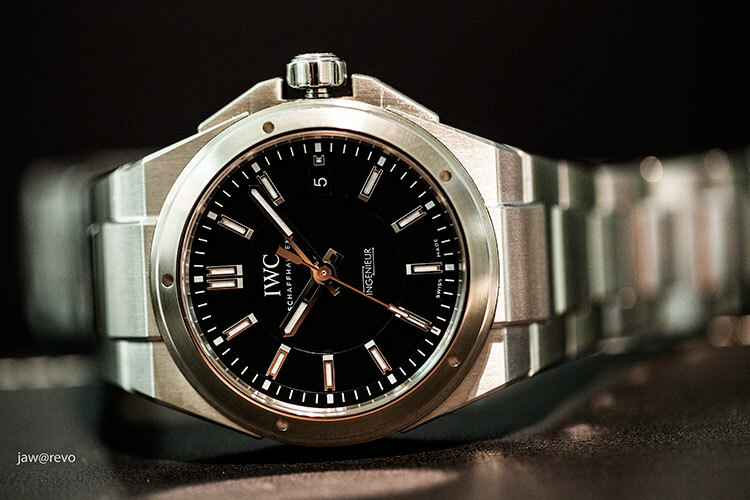 This included the use of non magnetic materials like Beryllium and beryllium alloy balance wheel and IWC’s attempt to protect the watch movement with soft iron inner case. 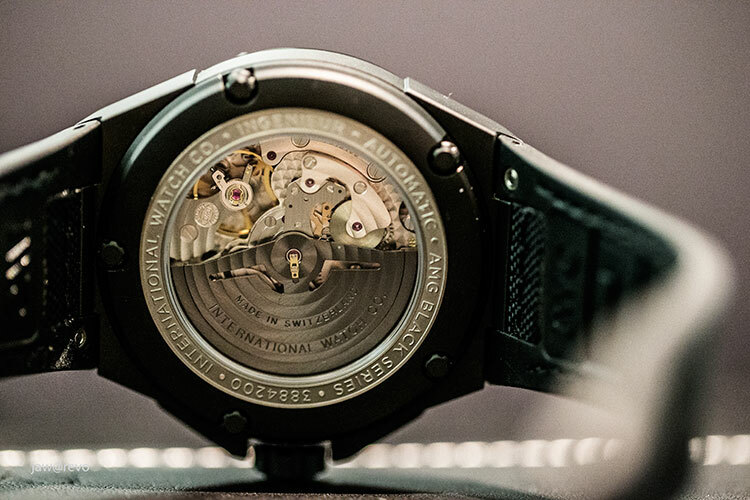 Early movement components were less precise, more delicate and was oscillating at a lower frequency than what we are used to today, as a result, even a relatively low magnetic field could affect the accuracy of the watch. 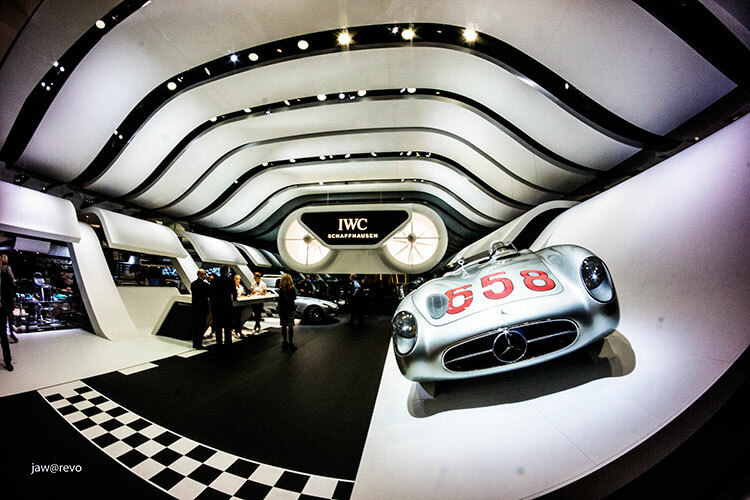 Today, with modern technology, precision component manufacturing and a uniformly 4Hz movement, magnetic field is less of a problem. 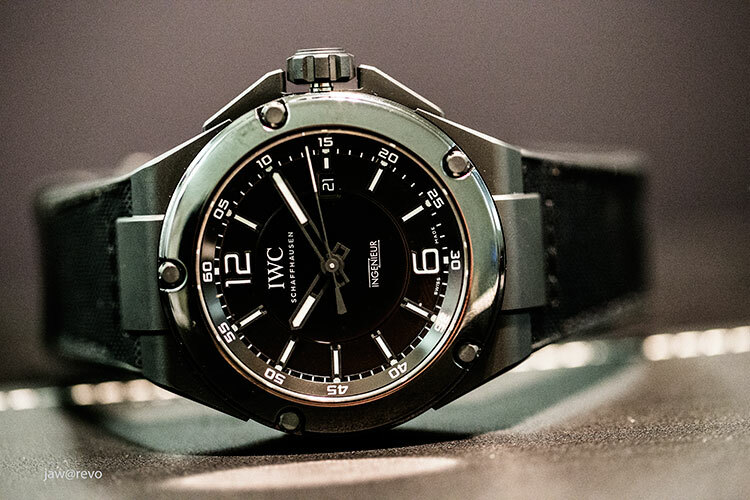 Certainly, the pursue of horology should be relentless beyond functional objectives, but we can at least say that the new IWC has achieved its original intention, to provide a watch rugged enough even for the toughest engineers. 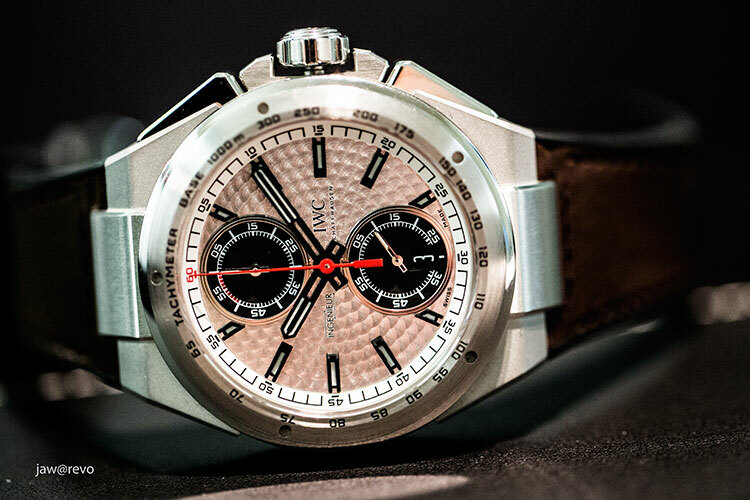 As for thematic marketing associating with Top Gun last year and the Mercedes AMG PETRONAS this year, this is the marketing brilliance of IWC CEO Georges Kern which has made IWC the success it is today. 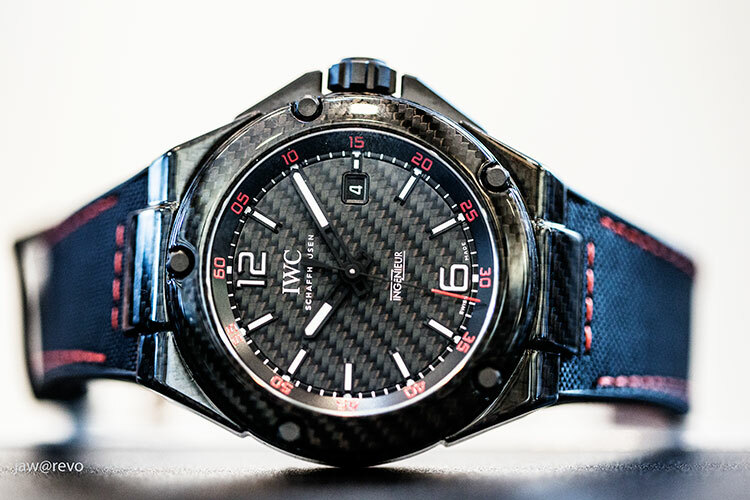 While it is sometime hard to stomach the apparent banality of marketing, good marketing is what is essential today for survival, and IWC certainly did much more than surviving in this very competitive market. 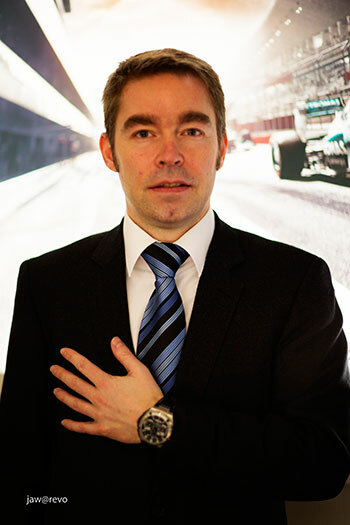 As IWC Associate Director of Research and Development Stefan Ihnen told us, IWC was selling only in Germany, Australia and a small part of Switzerland when Georges Kern took over the IWC stewardship. 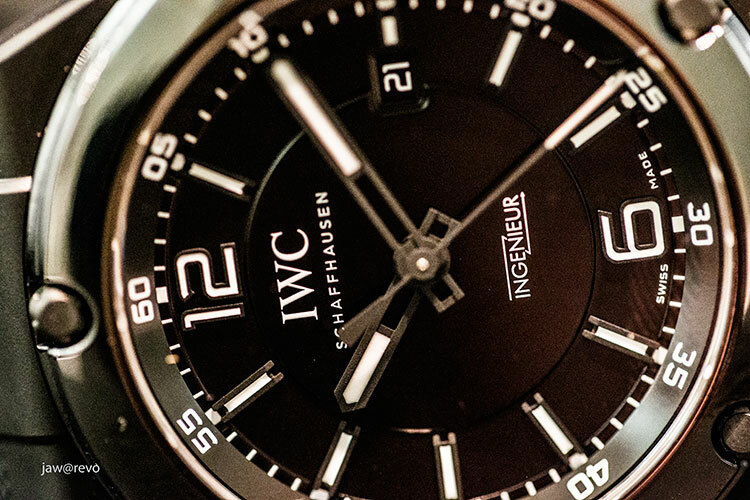 Today, at least from our own sources, IWC is now the second most successful watch brand in the prestigious Richemont stables of companies. In conclusion, like a man with split personality, if you kill Hyde, Dr. Jekyll will have to die too, so why not enjoy the fun brought on by both personalities?